Wilbur Wright was a prudent man. Before flying over New York City’s harbor on the morning of September 29, 1909, Wright fastened a red canoe to the underside of his Model A biplane, figuring the canoe would transform the Model A into a makeshift floatplane should he need to make a water landing. Wright was in New York for the Hudson-Fulton Celebration, a two-week event that marked the 102nd anniversary of Robert Fulton’s steamboat voyage to Albany and the 300th anniversary of Henry Hudson’s 1609 sail through the river that was named for him. While his brother, Orville, was in Europe promoting their latest airplane designs, Wilbur agreed to fly at the Hudson-Fulton event after organizers promised him $15,000 for a flight of 10 miles or one hour’s duration, plus $1,000 for expenses (the expense money would be his even if he was unable to fly due to weather or mechanical problems). And—just to make things interesting—the Hudson-Fulton Committee on Aeronautics asked the Wright brothers’ arch rival, fellow airplane designer Glenn Curtiss, to fly, promising him $5,000 for a 20-mile roundtrip flight from Governors Island to Grant’s tomb in Riverside Park, New York. (At the time, the Wrights were engaged in a patent infringement suit against Curtiss). Curtiss, however, would not be so fortunate: Not only did he not make it to the Statue of Liberty on September 29, he barely made it off of Governors Island. Taking off in the gusts that flowed over the harbor throughout the day, Curtiss’ airplane was too underpowered to safely plow through the turbulent air, and after traveling only 300 yards, he quickly landed. 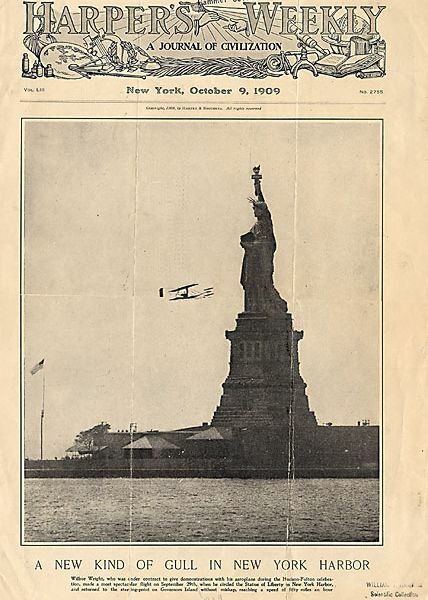 Curtiss again tried—and failed—to make a substantial flight, and October 2, he left New York City. 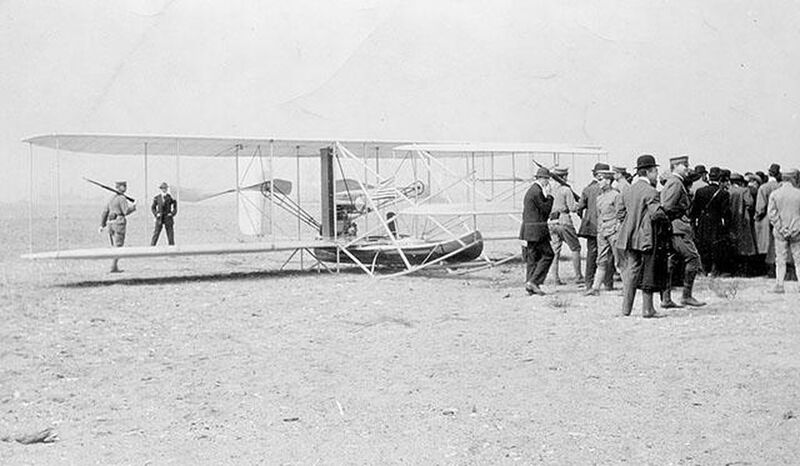 Wright had ended up making three glorious flights on September 29, but he wasn’t done yet. He still needed to make a flight of at least 10 miles or one hour in duration if he wanted to collect the $15,000 payoff from event organizers. What route would he choose? Well, the flight Curtiss had been expected to fly—from Governors Island to Grant’s tomb and back—was 20 miles. Perhaps we shouldn’t be surprised that Wright chose the Grant’s tomb run, a flight twice as long as he needed to make. It seems that Wright couldn’t resist the opportunity to show up Curtiss, who had made such a feeble display of his own airplane’s capabilities.